Mobile banking has revolutionized the way we bank in a very short space of time: from 2012 to 2017, consumer use of banking apps increased 356% in the UK. 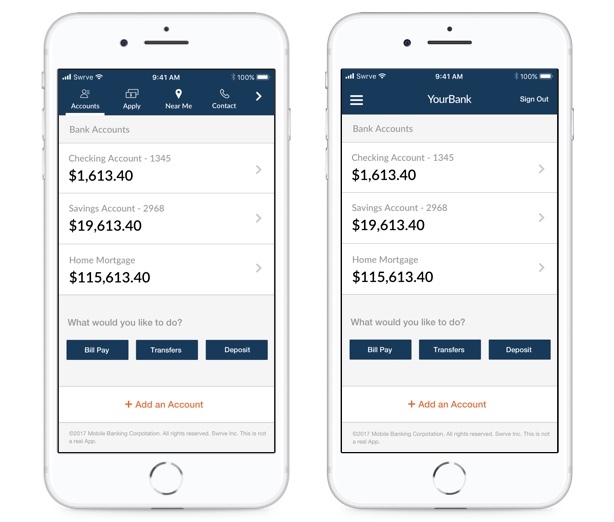 The majority of tasks, from checking your balance, to making a payment, and even applying for a loan, can be made through your banking app. And what’s more, the rate of customer migration from branch to mobile is startling, as is demonstrated in this statistic from one Swrve customer that we like to repeat whenever we get the chance: more customers visit the app in just one minute than all their branches combined in one whole week. It’s no exaggeration to say that customers have grown dependent on banking apps, which makes it essential for banks to provide the best possible user experience. As a result, being able to change apps is highly important, because, let’s face it, circumstances have a habit of changing. Unfortunately it can be incredibly frustrating working in a large organization: you know exactly what you need to do to get your job done well, but due to matters outside of your control, it takes an exponential amount of time longer than it should do. Perhaps you’ve been in a situation similar to the following: you want to change something in your app, say for instance displaying a banner for a limited time offer on low rate mortgages. What should be a quick and easy procedure becomes a rigmarole of being passed over to an IT team and added to the bottom of a long list of things to do, before ultimately waiting for the next update of the app. This process could take months; and by that time the moment is probably gone. It’s giving me a nervous twitch just thinking about it. Instead, wouldn’t it be great to reduce the ‘speed to market of ideas’ from months to minutes? Wouldn’t it be beneficial for everyone if they were liberated from relying on an IT team who have better things to be doing anyway? Making that happen is surprisingly simple. It just requires the ability to serve content dynamically within the existing structure of the app - in other words allowing your marketing and customer service teams to deliver messages and other forms of interaction within the app, like banner images, at a moment’s notice. Many platforms, including (you guessed it) Swrve, can help deliver this type of interaction, without your team having to go anywhere near code. And by thinking creatively about precisely which aspects of the app experience can be delivered in this way, it is possible to create a more personal, relevant and effective experience for all. Wouldn’t it be great to reduce the ‘speed to market of ideas’ from months to minutes? Let’s take a look at a situation where being able to change a part of the app experience in a very short amount of time is important. A couple of years ago we spoke to a financial institution who voiced frustrations about being unable to display a simple message when users opened their app to notify and help customers during a service outage. That inability meant that customers didn’t necessarily know what was happening when the app could not retrieve account details or complete common tasks. As a result, branches and call centers were overwhelmed with confused and angry customers, and as any CFO will tell you branches and call centers are particularly expensive places to talk to people. Of course a simple message, deployed when every customer opens the app, explaining the outage could have both reassured customers and saved the bank a lot of money. The ability to show a message like that - and to be able to create and deliver it in minutes - is the most simple and yet perhaps most compelling argument for ensuring your business can support the dynamic delivery of in-app content. Another benefit of being able to serve content dynamically is being able to deliver bespoke content to specific audiences. For example, it doesn’t take a genius to figure out that showing 18-22 year olds a campaign for student accounts makes a lot more sense than showing it to 65+ year olds. Swrve enables the segmentation of pretty much any group of users you can think of, which you can then target with campaigns that are actually relevant. And while it’s important to be able to target specific groups of customers, it is equally important to make sure these campaigns are consistent across channels. In this day and age where campaigns encompass on-site leaflets, roadside billboards, TV ads, social media, the web, and anything else you can think of, it’s really not good enough to show an out of date campaign banner in your app. It will just confuse your customers, and may even be displaying out of date, and thus void, information. The ability to update content in your app at a time that fits in with your wider campaign is therefore very helpful. The icing on the cake for serving app content dynamically is the ability to A/B test every change that you make to the UX. This includes everything from which banner image is the most successful at engaging customers, to something as fundamental to your app as what type of navigation flow works best. When the results are in and if there is a definitively successful variant, it can be rolled out to all users without re-submitting to the app stores. So there we have it. If this sounds like music to your ears, get in touch with us to find out more about how to save yourself a few months of pain.